Can an inspiring, uplifting shirt help shape a child’s character? We think so. Call it our You Are What You Wear philosophy. Here is some wisdom from across the globe and ages that supports this idea. Plus a fun story that shows it in action and links to shirts that sport spiritual strength. 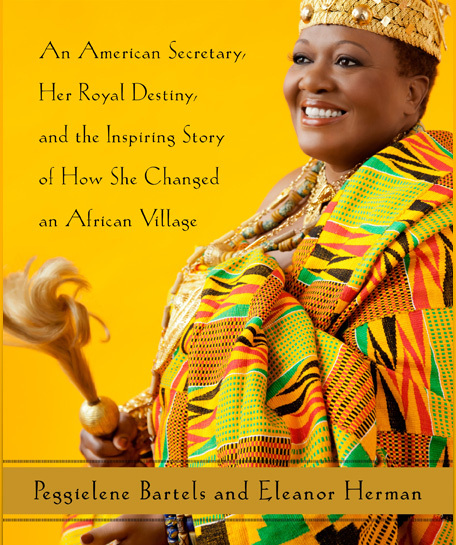 Our family recently discovered a fascinating biography of a Ghanaian-born American woman who became an African King in 2008. As we listened to the fantastic audio recording by J. Karen Thomas of King Peggy: An American Secretary, Her Royal Destiny, and the Inspiring Story of How She Changed an African Village, a whole new culture – and its take on clothing – unfurled before our inner eyes. Categories: Have Fun, Sustainability, Virtues, World Citizenship | Tags: baby bodysuit, eco-friendly, graphic tee, kente, kids clothing, King Peggy, organic cotton, spiritual meaning, stencil | Permalink. Categories: Have Fun | Tags: canvas bags, eco-friendly, gift certificate, Giveaway, kids clothing, LOVEfest, stationery, stickers, tattoos, Tender Sapling | Permalink.